Organic gardening Insectipedia insect glossary I-L is a free resource of garden insects, insect terms, and helpful information. The spread or swarm of insects in or over a plant or crop in a troublesome or harmful manner. Insecticidal soap sprays are a safe and affective on organic garden vegetables, fruit and nut trees, flowers, trees and shrubs. Only certain soaps have insecticidal properties; detergents are not soaps. Insecticidal soap sprays are made of fatty acids derived from plant and animal sources. 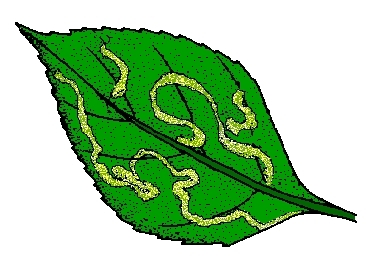 When sprayed on certain pest it destroys the insect's membranes. There is no pesticide residue to contaminate the environment. The sprays are harmless to humans and little effect on beneficial insects. Insecticidal soap sprays are available commercially. 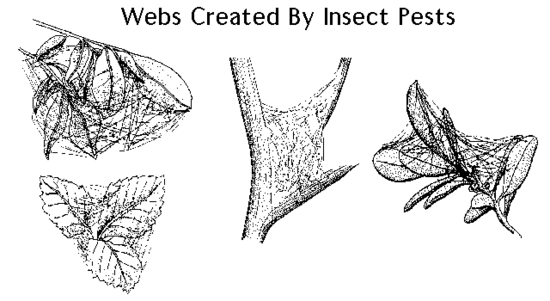 Instar is the stage in the life of an insect, or arthropod, between two successive molts. For more information, select Intercropping Guidelines or Intercropping Matrix. Parasitic Wasp Host Plant - These are plants that provide food and shelter for parasitic wasps as they search for pests. Parasitic Wasp Increase - These plants attract parasitic wasps as a food source from either the plant or the pests. Physical Interference - These plants "get in the way"
of the pest as either a physical barrier or a life cycle interference. Predator Increase. These plants act as a food source or breeding ground for beneficial insects as they search out for pests. Trap Crop - Trap cropping encourages pests to congregate, which makes it easier for beneficial insects to prey and for handpicking. Visual Masking - These plants provide a visual mask that either may confuse the pest or concealed the main crop. 1. Intercropping is not an exact science. What might work for one gardener may not work for another. A degree of success depends on your soil (see healthy soil), skill level, knowledge, climate, and Ecoregion. 2. Always experiment. Learn from your own experience what works and what doesn't. 3. Don't interplant when space is limited. 4. Look for reactions from your crops such as stunted growth or poor yields. Some plants may release chemicals that have adverse effects on others. 5. Don't allow the intercropped plant to out-compete for water, sun, or nutrients. Organisms lining inside other organisms, such as insects. For example, the larvae of the Tachinid Fly are an internal parasite to beetles, grasshoppers, and Caterpillars, as well as a few others. Iron is important in building the chlorophyll molecule, and it is therefore important to photosynthesis. Crops such as the cabbage family, spinach, beets, tomatoes, and beans demand a good supply of iron. Like manganese, iron deficiencies are most likely to occur in cool, moist springtime conditions. Deficiencies will also occur in soils with a pH of 7.5 or higher. It is common to see high levels of iron and manganese in waterlogged soils lacking sufficient oxygen. Once the soil drains sufficiently and air is reintroduced into the soil environment, the levels generally decrease. The labium is located behind the maxilla and acts as a guide for the food. The labrum is located just above the mouthparts and is a small plate-like "upper lip." Probably the best-known and most valued Aphid and Scale predator is the Lady Beetle (Ladybird or Ladybug). The adult Lady Beetle is usually orange, reddish, or yellow with very distinct black spots. There are a few species with no spots. The female deposits her eggs singly or in groups on foliage that is infested with Aphids or Scale insects. The larva is long and slender, usually gray with black, red, green, and blue spots. The larvae are very active and feed on the Aphids and Scale. Lady Beetles congregate in large numbers in the Fall to overwinter beneath logs, stones, leaves, or other surface debris. Lady Beetles can easily be obtained commercially. A larva is the immature, wingless form of insect that hatches from an egg. 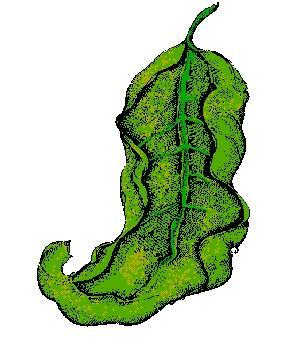 It grows as it passes through many molts, and then transforms into a pupa or chrysalis from which an adult emerges. There are many varieties of Leafhoppers, or insects belonging to the Homoptera order, characterized by slightly thickened, and often marked with color patterns match those of Head and thorax. 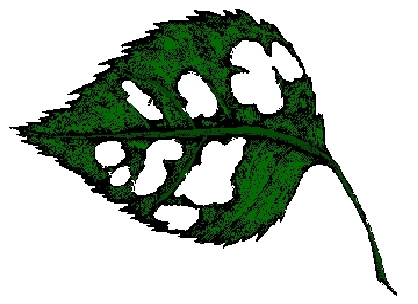 Adults and nymphs have an odd habit of running sidewise when the plants are disturbed. The adults hop or fly away. They damage they cause by sucking the juices and injecting salivary substances that block conductive system. 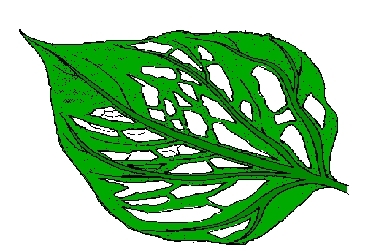 discoloring of the leaves and stunted growth results. 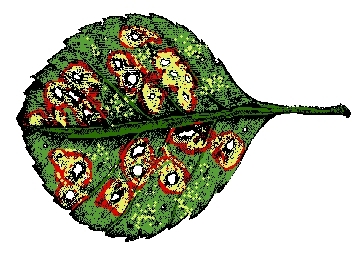 Both Spittlebugs and Leafhoppers are vectors (carriers that transmit) of viruses of Pierce's disease, Aster yellows, and other plant disease. Controls that can be are forceful jet of water, covering plants with nylon netting, dusting lightly with Diatomaceous earth, or dormant-oil spray. 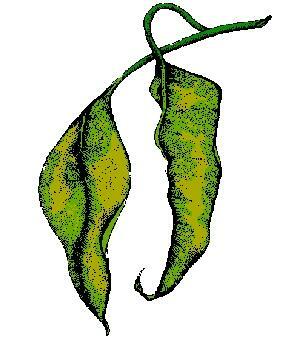 A legume is a plant with two seed leaves, such as an herb, shrub, or tree having fruits that bear nodules on the roots that contain nitrogen-fixing bacteria, and is an important food and forage plant. The order Lepidoptera is the second largest order of Insects and includes the butterflies and moths. Life cycle is the series of stages in form and functional activity through which an insect passes in its complete lifetime. Those crops that use a minimal amount of nutrients from the soil such as nitrogen. of sunlight can be used to protect plants from insect attack. Easily obtained from most hardware stores. Limestone is a rock that is formed from organic remains, such as shells and coral, consisting mainly of calcium carbonate and produces lime when burned. Lime is very effective in the fight against snails and slugs. Plant and other organic matter scattered about in disorder. 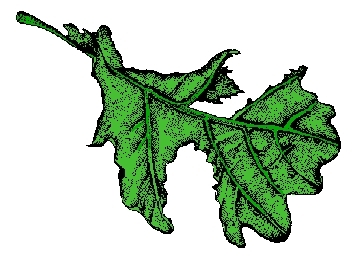 In gardens, litter can consist of prunings, leaves, or weeds that have not been cleared from the area. Lodging is when Wheat is heavy and high yielding, and the wind knocks it flat to the ground. When this occurs, it makes harvesting very difficult. Too much nitrogen, which produces fast, rank growth and lack of potassium, may also cause lodging. Luciferin is a pigment found in luminescent organisms, such as fireflies, which furnishes practically heatless light as it is oxidized.